Felix Francis, like his father before him, is a master storyteller, a writer of gripping tales of double-dealing and murder in horse-racing circles. 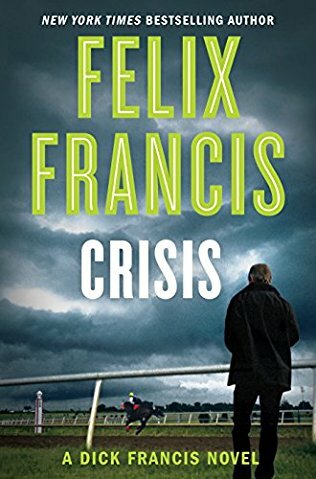 His latest novel, Crisis, takes us into the world of Harrison Foster, a lawyer by training, who works as a crisis manager for a London firm that specialises in such matters. 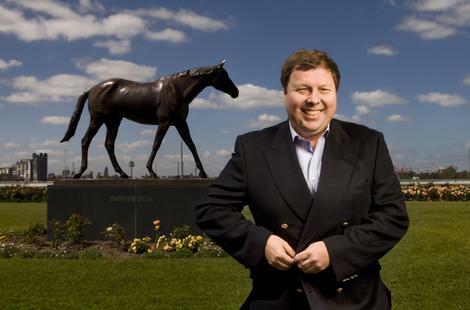 Summoned to Newmarket after a fire in the Chadwick Stables slaughters six very valuable horses, including the short-priced favourite for the Derby, Harry (as he is known) finds there is far more to the ‘simple’ fire than initially meets the eye. For a start, human remains are found amongst the equestrian ones in the burnt-out shell. All the stable staff are accounted for, so who is the mystery victim? Harry knows very little about horses, indeed he positively dislikes them, but he is thrust unwillingly into the world of Thoroughbred racing where the standard of care of the equine stars is far higher than that of the humans who attend to them. The Chadwick family are a dysfunctional racing dynasty, with the emphasis being on the nasty. Resentment between the generations is rife and sibling rivalry bubbles away like volcanic magma beneath a thin crust of respectability. Harry represents the Middle-Eastern owner of the Derby favourite and, as he delves deeper into the unanswered questions surrounding the horse’s demise, he ignites a fuse that blows the volcano sky-high, putting him in grave jeopardy. Can Harry solve the riddle before he is overcome by the toxic emissions from the eruption and is bumped off by the fallout?